When you cross a Shih Tzu and a Poodle you get the lovable Shih Poo. Designer breeds like the Shih Poo are fairly new and have only gained popularity within the past 10 to 20 years. Most people take a liking towards these mixed breeds because they are thought to be healthier and also hypoallergenic (which is not always the case). Designer breeds like the Shih Poo are also loved by many because they showcase the best qualities of their ancestral parents. That means this breed is loyal like a Shih Tzu and intelligent like the Poodle. As said before, the personality of the Shih Poo will be greatly influenced by their parents. In most cases, these dogs tend to have a friendly and outgoing demeanor just like the Poodle and Shih Tzu. They also tend to have a high intelligence compared to other breeds. In order to ensure that your pet develops favorable personality traits, make sure to socialize your dog with different people, places, and experiences at a young age. This will help your pup become more comfortable with unfamiliar situations. How easy it is to train your Shih Poo will depend greatly on his parents. If he has stronger Poodle genetics, he will be a breeze to train. However, regardless of your dog’s genetic makeup, the most important thing to remember is to start the dog training process while they are still a puppy. That way you are able to develop the respect needed for him to obey your commands and leadership. When it comes to exercise, the Shih Poo will be completely satisfied with a quick trip around the block or a little playtime in the house. Although they are not a lazy breed by any means, they simply do not require hours of strenuous physical activity to be at their best. Most importantly, make sure you give your Shih Poo plenty of love and attention as often as possible. These dogs crave human companionship and could develop behavioral issues if they do not get the proper attention they deserve. The Shih poo has an average lifespan of 10 to 15 years. Since the American Kennel Club does not recognize designer breeds as their own category, it can be hard to tell just how popular the Shih Poo really is. However, both the Poodle and the Shih Tzu are ranked within the top 20 most popular breeds within the United States today. 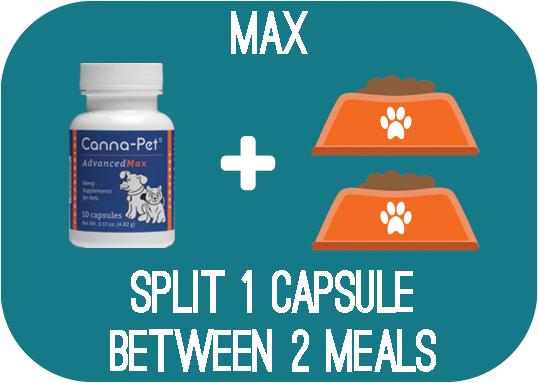 As a general rule of thumb, feed your Shih Poo at least ½ to 1 cup of high-quality food a day, split into two equal meals. Since not all Shih Poos are created equal, you have to be mindful of your dog’s age, weight, activity level, and metabolism before designing his feeding regimen. Consult with your veterinarian for further information. When it comes to a Shih Poo’s coat, it can either be curly like a Poodle or fluffy like a Shih Tzu. Regardless of the type of coat they end up with, make sure to brush them out at least once a week to keep it clean and free of debris. Aside from normal canine grooming practices, also check their ears, eyes, and nose for any sign of infection. It is also critical to brush their teeth at least once a week to prevent dental disease from developing. Are Shih Poo’s Good With Kids? Due to their fragile size and calm demeanor, the Shih Poo is not the best fit for a family with small children. Professionals recommend that the child be at least 6 years of age. As the parent of the household, make sure to always supervise any interactions between a dog and a child to make sure both parties are equally respecting one another. Cushing’s Disease: Cushing’s disease in dogs occurs when the adrenal glands overproduce cortisol. This health condition commonly shows symptoms of weight gain, bladder infections, fluctuations in thirst and hunger, and excessive urination. Diabetes: Just like in humans, dogs can also suffer from Diabetes as well. Diabetes in dogs occurs when the body is unable to regulate blood sugar levels, which causes a number of different symptoms.